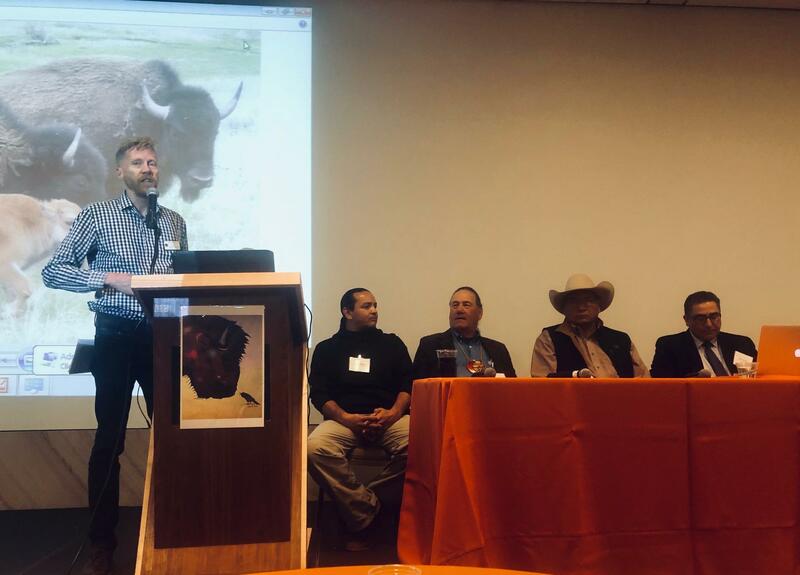 Panelists at the summit discussed how bison could help tribes revitalize their cultures and how to include youth in their recovery, among other things. "The spirits were with us," said Baldes. "The eagles were flying over the top of us as well as cranes. It was kind of an emotional and spiritual moment to kind of convene the summit in that way through ceremony." Tribes around the Rocky Mountain region have been working for years to relocate genetically pure wild bison from Yellowstone National Park to reservations.Baldes has been instrumental in building a herd for the Eastern Shoshone in Wyoming, which is now up to 23 animals. He said, at the summit, leaders discussed the challenges of getting more wild bison into the care of tribes. 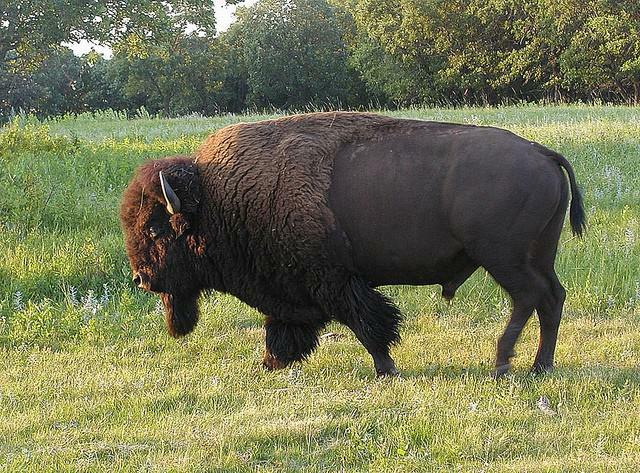 "We're still trying to break through this barrier of treating buffalo like cattle," he said. "And it's kind of an ingrained philosophy that buffalo are rarely considered wildlife and so it's a paradigm shift." Baldes said the 23 bison on his reservation have encouraged the return of many plant, reptile and bird species to the landscape. But, he said, it also means cultural healing. "When it comes to tribal communities, it's not only about ecological restoration, it's about being strong and proud of who we are as buffalo people." As part of that effort, Baldes said his tribe is currently working collaboratively with the Northern Arapaho to expand the fenced-in range of wild bison on the Wind River Reservation in the near future. That means obtaining more bison from the Fort Peck Reservation's quarantine program. Baldes said, he's hopeful the new Yellowstone National Park superintendent Cam Sholly will be supportive of that program. Sholly took over earlier this summer after his predecessor, Dan Wenk, was reassigned but chose to retire instead. Northern Plains tribes are calling for the Interior Department to keep Yellowstone National Park Supervisor Dan Wenk on board until after a program to relocate wild bison from the park onto their reservations is complete. Ildar Sagdejev licensed under the Creative Commons Attribution-Share Alike 4.0 International, 3.0 Unported, 2.5 Generic, 2.0 Generic and 1.0 Generic license. A man who was arrested for harassing a bison among other charges has been sentenced to 130 days in jail. Public lands facilities around the nation are cutting budgets and staff. But in the Mountain West region, cutbacks at Montana's National Bison Refuge are prompting accusations of a political vendetta by regional U.S. Fish and Wildlife Service managers.